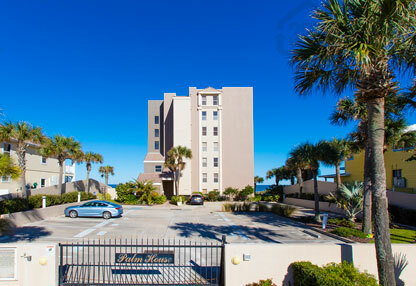 The Palm House in New Smyrna Beach offers privacy and luxury from these beautiful oceanfront units. With only 14 units in the entire building, two per floor, you can enjoy peace and quiet in your beachfront living and also have less crowded common area amenities for you to enjoy. This condo is located on a no-drive beach and is in close proximity to fishing and boating opportunities, as well as excellent dining and shopping options on nearby Flagler Avenue. At the Palm House you can have a comfortable and convenient life of luxury as you wake to sunrises over the Atlantic coastline each morning. Call us today to browse available condos in Palm House or other opulent oceanfront units in New Smyrna Beach.